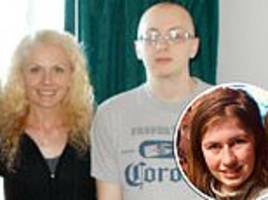 Wisconsin police charged the man with murdering the girl's parents in order to abduct her. 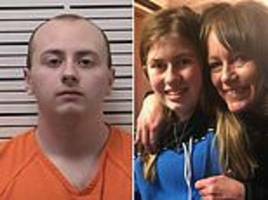 Jake Patterson pleaded guilty in a Wisconsin court on Wednesday to kidnapping 13-year-old Jayme Closs and murdering her parents in a case that sparked a months-long search for the girl and ended with..
▶ Videos for "Jayme Closs"
In a rare move that was met with relief, Jake Patterson pleaded guilty Wednesday to killing James and Denise Closs and kidnapping their daughter, Jayme, reports Liz Collin (1:53). 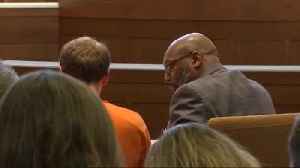 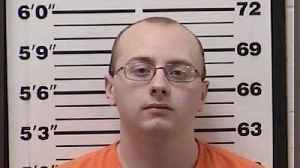 WCCO 4 News At 6 –..
Jake Patterson pleaded guilty to the kidnapping of Jayme Closs and the murder of her parents. 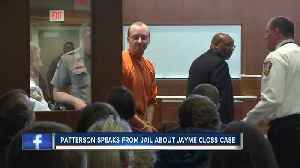 Patterson will likely spend the rest of his life in prison. 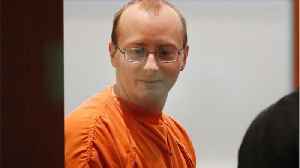 Jake Patterson pleaded guilty Wednesday to kidnapping Jayme Closs and murdering her parents, Denise and James. 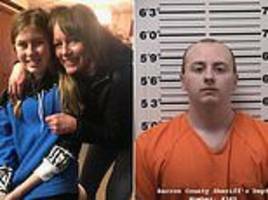 Liz Collin leads our team coverage from the courthouse in Barron, Wisconsin (2:06). 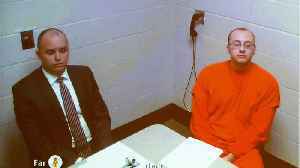 WCCO 4..
Patterson is accused of kidnapping the 13-year-old girl and killing her parents last October in Wisconsin. 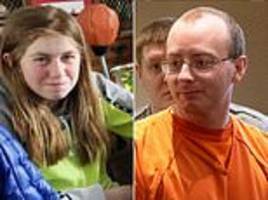 The man accused of kidnapping Jayme Closs says that they played board games and cooked together during the 13-year-old&apos;s 88 days in captivity. 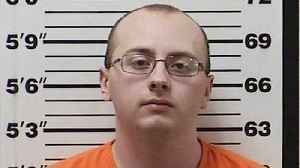 A Wisconsin man charged with kidnapping 13-year-old Jayme Closs and killing her parents has confessed to his crimes in a letter written from jail, saying "I can't believe I did this," a local TV news..
Jake Patterson waived his right to a preliminary hearing in Barron County Court, and the case will now go to trial. 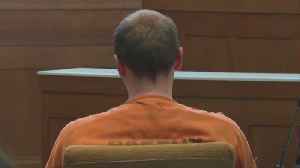 He is accused of kidnapping Jayme Closs and murdering her parents. 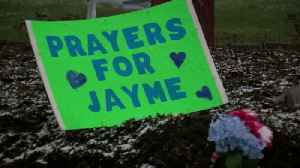 Jayme was kidnapped from her home in Barron, Wisconsin, on Oct. 15 and both of her parents were killed. 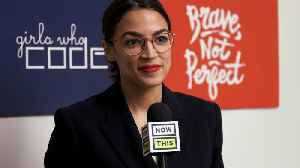 She escaped 88 days later . 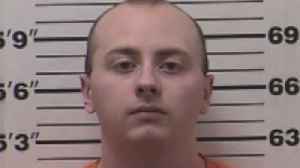 Jake Patterson is charged with kidnapping and homicide. 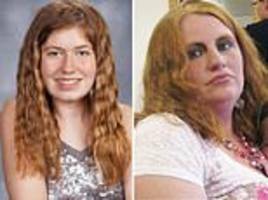 Countless questions weighed on Jodie Arnold's mind in the three months after the bodies of Denise, her cousin, and James Closs were killed and their daughter went missing in Barron, Wisconsin. 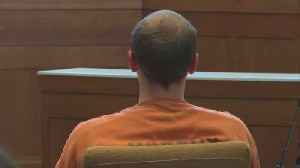 Tristan Roberts, a former neighbor of Jake Patterson said he seemed baffled when he first asked him if he had a Facebook account. 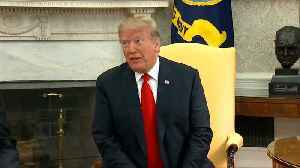 The two attended Northwood High School in Wisconsin. 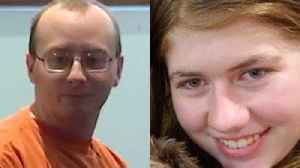 Jake Patterson, the 21-year-old charged with kidnapping Jayme Closs and killing her parents, has been branded a 'scumbag' by his 'first and last' girlfriend Briana, who dated him for four months. 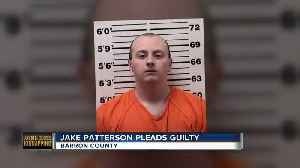 Jake Patterson's ex-girlfriend said she didn't want any ties to him. 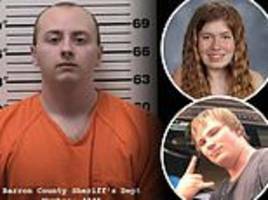 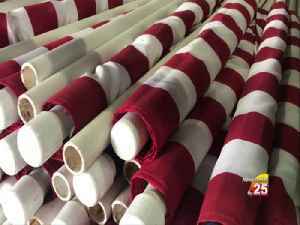 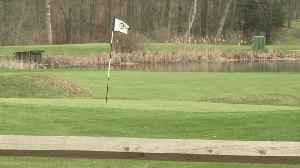 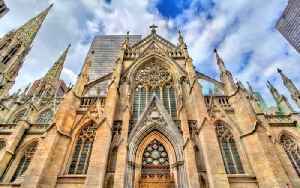 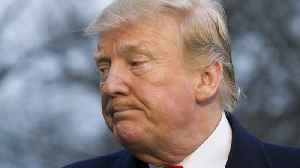 The two dated in ninth grade and broke up due to his temper, his classmates at Northwood High School in Minong, Wisconsin said. 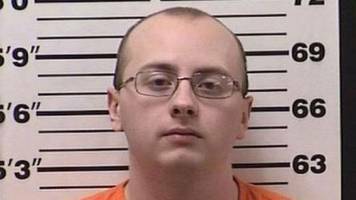 Jake Patterson's mother Deborah Frey is said to be holed up at her home in Wisconsin after her son, 21, confessed to kidnapping Jayme Closs and murdering her parents. 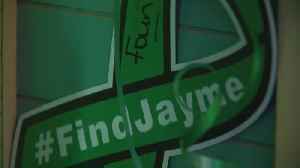 Jeanne Nutter says she discovered the missing 13-year-old girl asking for help in rural Wisconsin. 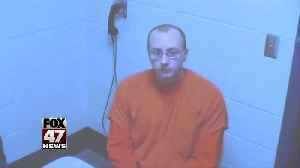 The horrifying details of Jayme Closs's abduction have emerged in the criminal complaint filed today ahead of Jake Patterson’s first court appearance in Barron County Circuit Court. 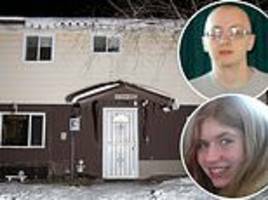 The man suspected of kidnapping Jayme Closs, 13 and killing her parents in their Wisconsin home is set to make his first court appearance, with charging documents potentially giving insight into he..
Jayme Closs' aunt said their family made the decision to face down Jake Patterson in court. 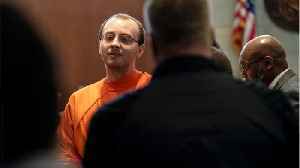 He is accused of kidnapping Jayme from her home in Wisconsin and shooting her parents. 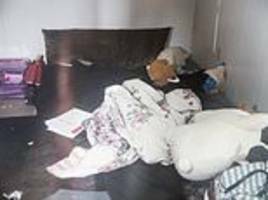 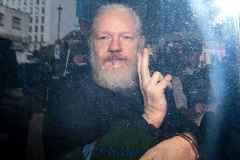 The secret den complete with a scruffy mattress and cuddly stuffed pig is beneath alleged abductor Jake Thomas Patterson’s tumbledown forest cabin in rural Gordon, Wisconsin. 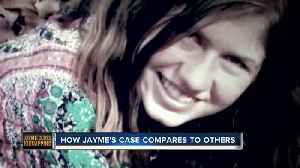 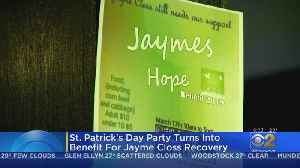 Jayme was found 'skinny and dirty but outwardly OK' on January 10 after escaping the cabin she was being held at in Eau Claire Acres, in rural Wisconsin. 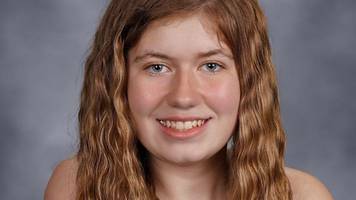 Jayme Closs, 13, pictured, was held in the house in Gordon, Wisconsin after she was abducted in October. 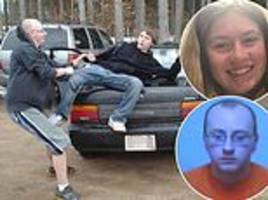 Jake Thomas Patterson, 21, is accused of kidnapping her and killing her parents. 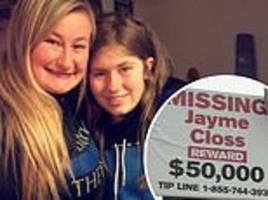 Jayme Closs, 13, pictured with her aunt after her escape, was abducted from her home in Barron, Wisconsin on October 15, the same day her parents, James, 56, and Denise, 46, were found shot dead. 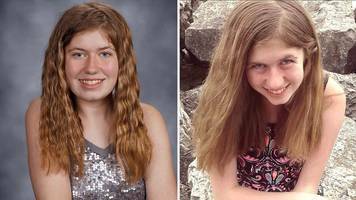 The 13-year-old has been found alive in rural Wisconsin months after her parents were murdered. 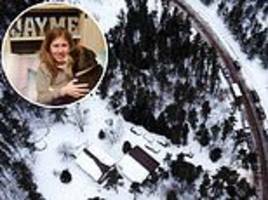 Police praise Jayme Closs for her escape from a cabin where she was held after her parents' murder.